Cytokeratin 17 antibody recognizes keratin, type I cytoskeletal 17, also known as 39.1, CK-17, keratin 17 epitope S1, keratin 17 epitope S2, keratin 17 epitope S4, keratin, type I cytoskeletal 17 or keratin-17. 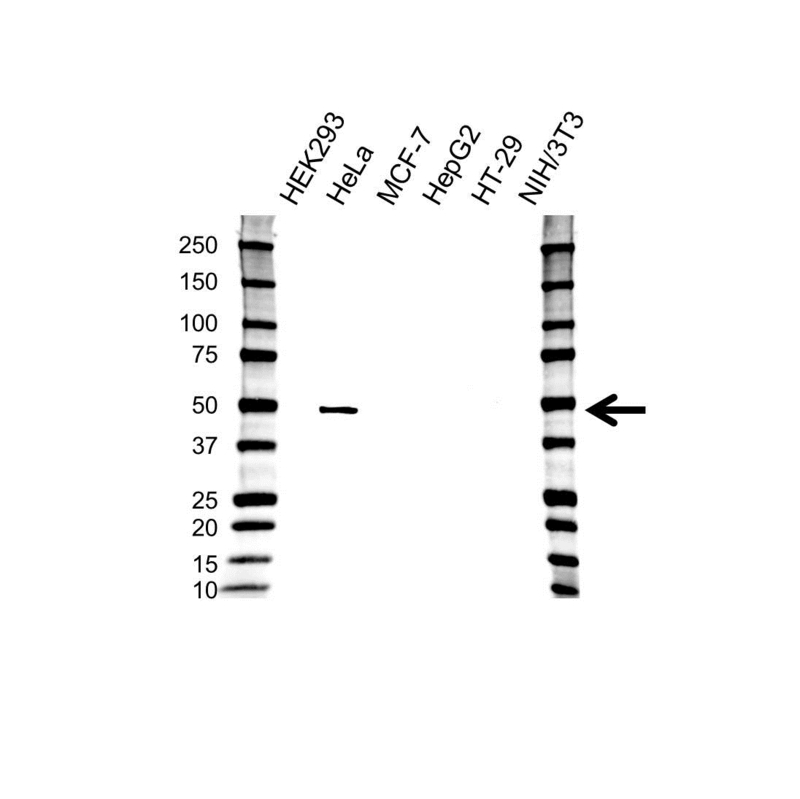 Mouse anti Human cytokeratin 17 antibody recognizes the cytokeratin-17, also known as keratin, type I cytoskeletal 17, 39.1, CK-17, keratin 17 epitope S1, keratin 17 epitope S2, keratin 17 epitope S4, keratin, type I cytoskeletal 17 and keratin-17. Encoded by the KRT17 gene, cytokeratin 17 is expressed in nail bed, hair follicle, sebaceous glands, and other epidermal appendages. Mutations in KRT17 lead to Jackson-Lawler type pachyonychia congenita and steatocystoma multiplex (provided by RefSeq, Aug 2008). Mouse anti Human cytokeratin 17 antibody detects a band of 49 kDa. The antibody has been extensively validated for western blotting using whole cell lysates.